Fallen Star Stories: For Younger Readers - A Really Good Book! Cass, Lex and Nicholas are over the moon with excitement! (Well, Cass is anyway...) Mr. McCalls' partner Graham has decided to hold a Scarecrow Festival at the McCall Mansion, complete with an all-day Scavenger Hunt. 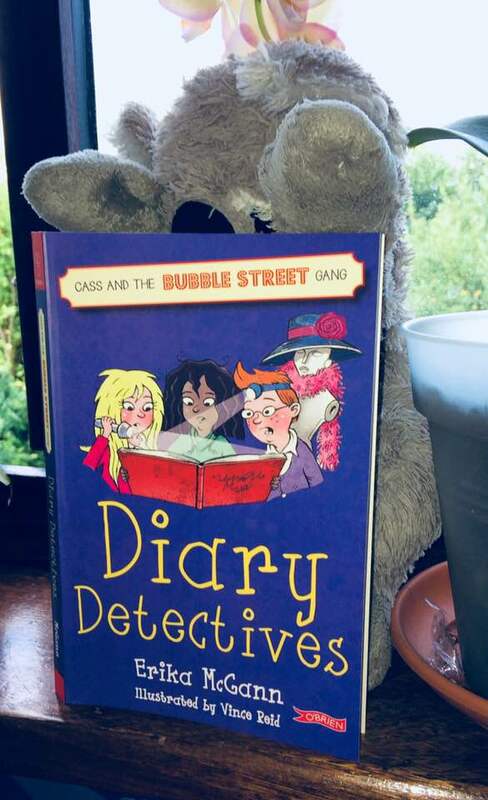 Because they are world-class detectives, the Bubble Street Gang is sure to win. But with the NaSaJi Club working to sabotage them and one of the crucial items going missing early on, it turns into a mystery they need to solve. In the meantime, over at the local nursing home where Cass' Dad works, one of the residents has lost her treasured locket and it looks like there may be a thief on the loose! Don't worry...the Bubble Street Gang is on the case! This is book 4 in the series and it is just as exciting; just as brilliant as the other three. 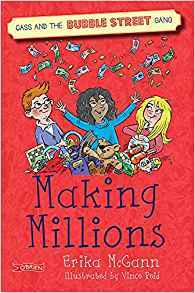 A mystery (two, actually) filled with humour and drama and a childs-eye view of the world, it immediately picks up and carries the reader on a raucous roller-coaster through the pages. Engaging dialogue and a rollicking pace make sassy Cass and her friends come to life. The story is easy-to-read, but never dull. The characters warm, sympathetic and so real you'll swear you know them; or maybe you are them! While the story is filled with loads of madcap scenes that have the potential to put Cass, Lex and Nicholas in all kinds of trouble, there is a logical (but never dull!) sense of practical development. These books are just soooo good, with a well-crafted plot and strong sense of relationship. The black and white pictures throughout bring a real spark of life to the tale. This one may be my favourite so far...they just keep getting better and better. A great mystery, very funny and full of heart. 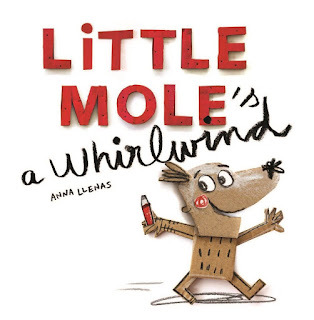 Little Mole really is a whirlwind. He can’t stop moving, is always fidgeting, breaks things and constantly forgets what he’s supposed to be doing. His classmates avoid playing with him. Little Mole is ‘wearing so many labels he doesn’t know who he is’. His teacher doesn’t know what to do. His parents, at the end of their rope, eventually find an advert in the paper: Serena the Forest Bunny can make learning fun. Over time, Little Mole and Serena play, make things, and talk. Little Mole tells Serena all about his feelings, his worries and the problems he has at school. Can Serena help Little Mole in time for him to finish his special end-of-year project? With a concise story that moves as quickly as Little Mole himself, this picturebook brings humour and reassurance to children and parents alike. This book deals with ADHD, hyperactivity, and other (often undiagnosed) conditions with a very positive, understanding and spirited outlook. Showing Little Mole’s point of view; how it really feels for the child to be ‘labelled’ is particularly moving. The illustrations are lively, expressive and fresh, using a collage/mixed media approach that creates a very child-friendly atmosphere throughout the book. The colour palette changes as Little Mole receives acceptance that allows him to focus better and become more confident. All the while, it is telling an enjoyable and fun tale that needs to be told. It’s about time! This is a very special book. In Bee Boy..., Azins' family lives a nomadic life, traveling a desert landscape and relying on the beautiful, illusive Moonflowers to keep them alive. When the Elders fall ill, it is up to Azin to guide the bees to the Moonflowers and return with their honey. But there are others who seek this magic and wish to rob Azin of the a living and a life. And they will stop and nothing. The Eel Question, orphan Nant is filled with curiosity; always asking questions. She is bound to serve a cruel, violent master, but longs for a life of freedom beyond the marshland. When autumn comes, the silver eels return and with them, Nants' questions. When her master is gravely injured and dies, Nant is branded a witch. But what will one silver eel give up to free her? These folk tales are the final two in the series that explore a deeper and sometimes darker human connection to the natural...and supernatural world.Amazing and wondrous, they are inspired by a love of nature and the understanding of the true magic that reveals itself within. 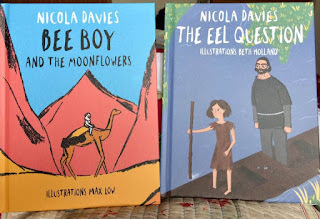 Max Lows' evocative illustrations add a contemporary twist to these ancient tales, sending the reader on an imaginative journey through this connection and through human history and beliefs. These stories ask as many questions as they answer and highlight the strong ties that exist between nature and mankind; they beg us to seek a little deeper. Thought-provoking, haunting and swimming with the diverse beauty of the natural world. From the Country Tales series by Nicola Davies: In Flying Free, young Colin is in a hurry to grow up as quickly as he can. When his older brother gives him an air rifle for his birthday, he can't resist acting out his hunting fantasies and shoots a hawk. Colin soon realises that shooting an animal is much different than shooting at cans on a wall. He accepts responsibility for the hawk, helping it to recover and discovers a powerful emotional understanding of the world around him and what it really means to 'grow up.' In The Little Mistake, Rosie finally gets a sheepdog pup of her own to raise and train, but it isn't your typical sheepdog. Puppy was a 'little mistake'; a word Rosie has heard her parents use to describe her! But Puppy teaches her that something unexpected isn't always a bad thing. In fact, it can be exactly what you need. In these two stories in the Country Tales series , Nicola Davies explores how intertwined we are with the natural world and animals and how nature has a lot to add to our lives. Lessons in responsibility, identity, belonging and social/family issues are revealed with eloquent writing and captivating story-telling. 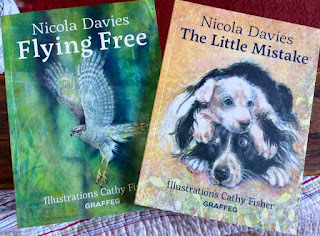 Cathy Fishers' expressive drawings set the mood and atmosphere that allows the reader to easily walk into the tale and develop an emotional connection. Engaging, compelling, thoughtful and simply lovely. They will become favourites! Once there was a young boy who was afraid of the dark. That's not very unusual because lots of children are afraid of the dark. But this boy was a Prince and one day, he became King. When he became King, he decided to do something. He banned the dark. Bright lights and an artificial sun are installed in the kingdom, anti-dark laws are strictly enforced and the dark becomes a distant memory. At first, the people are thrilled and the King is certainly happier at having found a solution to his greatest fear. They no longer need to worry about crime, monsters or things that go bump in the night. They no longer need to be afraid. But then reality sets in. The people can't sleep. They are exhausted and become very angry. A revolt is brewing...but how can they convince the King to change his mind and bring back the dark? This picture book for ages 5-8 tells a timeless tale of courage, creative solutions and facing fears. But it also creates an open discussion about stubbornness, consequences and responsibility. The thought is put forth that perhaps we need the dark, for what would the light be without it. The story is driven by the simplest concern, but also presents a timely tale about a dictator who acts purely out of his own interests and the effect that has on his people. Filled with light and dark, fears and bold actions, imaginings and realities; it is well-woven with its' twists and turns and is an utter joy to read. The illustrations have a lively graphic style with a limited palette that explodes to brilliant colour in the end, precisely accentuating the text. Beautiful, clever, quirky and full of unexpected wonder. Elen's parents are off on a holiday, just the two of them. And Elen is sent to a tiny island to spend the summer with her grandmother, a very odd woman with lots of secrets and lots of mess who Elen doesn't know at all. She is furious! There's nothing to do...or so Elen thinks. Her Gran gives her a hand-drawn map and sends her off to explore. All she finds are more secrets and mysteries. 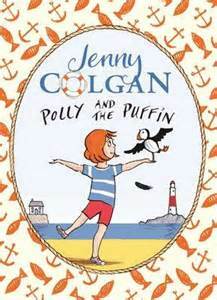 Elen makes a difficult friend in Rowan, a rude boy tending an injured puffin, with secrets of his own. After rescuing Gran from a storm, Elen finds a poem on the back of an old photograph, she enlists Rowan's help on a mission to uncover a hidden treasure!In the end, it may not be the treasure she was expecting. A lovely young novel that brings to life a small Welsh island and those who live there. There are beautiful descriptions of the place and wildlife on the island that cast a magical spell over the reader. You will want to travel there! A quiet adventure and a well-written mystery the tale pulls you in before you realise it. The characters are marvellous; Elen is feisty and bold, but also caring and loving (sometimes in spite of herself); Gran is odd, old and filled with memories and Rowan is full of himself and clearly hiding some painful bits of his young life, but a loyal and true friend to all. 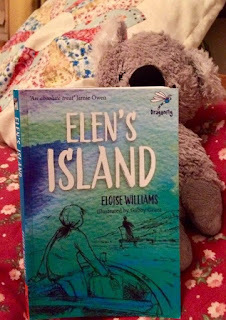 Atmospheric, sensitive and joyful, Elen's Island is filled with feeling, family and friendship. A fabulous read for 6-9 year olds, and a great one to share. I really loved it! Betsy K. Glory is the daughter of a mermaid and an ice-cream maker. He is the best ice-cream maker anywhere in the world. When Betsy and her father come across an enchanted toad (really a princess under a terrible spell), they learn of the magical Gongalong berries, from which an ice-cream can be made that will grant wishes...but these berries can only be picked under the light of a Blue Moon, which happens almost never. Of course, the toad needs the wish to turn back into a princess and free Gongalong Island from her evil sister. But Betsy has a wish of her own. When Mr Tiger and his magnificent Gongalong acrobats come to town, he may just have all the answers they need. 'Tigers have their secrets and their whiskers, their tails and their tales.' So they set off on their quest to turn the moon blue, gather the Gongalong berries and make wishes come true. Say 'hello' to Bert, the Dad of the Water Vole family. Bert loves to garden and has an allotment where he grows all kinds of marvellous plants for his family, friends and all of the creatures that live near by. In his spare time, he loves nothing more than a cup of tea, a biscuit and a quick nap in his allotment shed. Then it's home to his family for dinner and bedtime. But something keeps waking Bert up. It's a black clock beetle scritching and scratching by the bed! Bert must do something so he can get some sleep. But how can he solve this problem? I absolutely love this little gem of a book! With clear text, it tells a nature-based story with quiet intrigue and drama. There is true kindness of character and wonder in this thoughtful and thought-provoking, simple adventure. But the real star of this book are the illustrations. 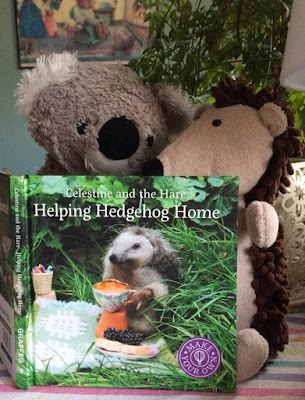 Through the use of small animal figures and hand-crafted houses and furnishings, the characters come to life and invite the reader into their tiny world with great believability. Even the presentation of this book is wonderful and just the right size for little hands. But that is not all! 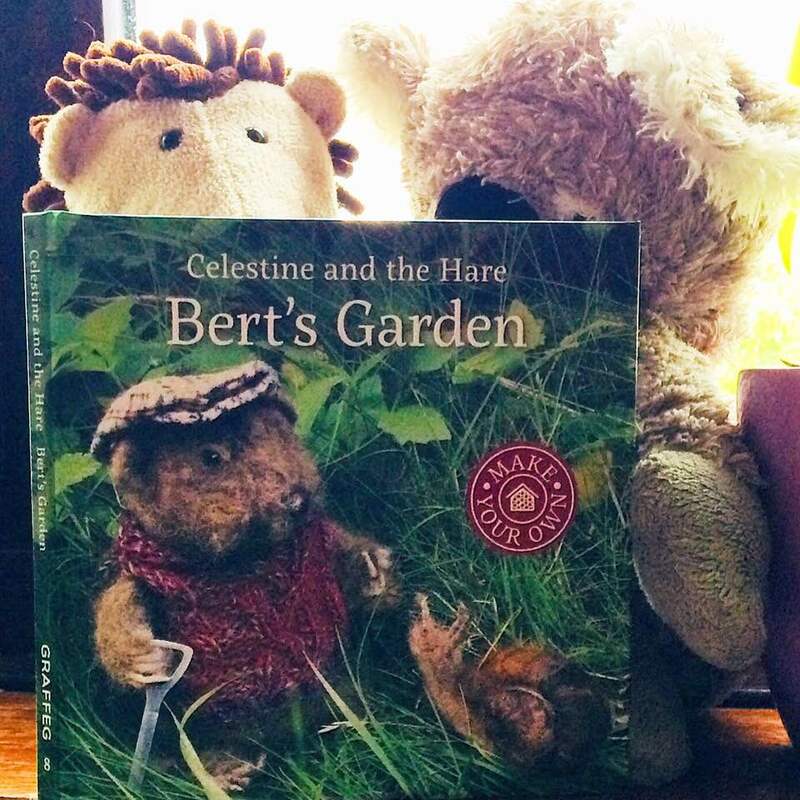 Bert's Garden encourage even the youngest to explore and understand the natural world, and to support nature wherever they find it. There are instructions for building your own bug house, where to look for natural materials and how to make your own small patch a healthy and diverse garden. Genuine curiosity sings from the pages. Charming, considerate and filled with utter delight in every way, you will want to live in Bert's Garden. In Ireland, a long, long, LONG time ago, there lived a boy named Manchán. Now the country has (supposedly) gone Christian and Mancháns' mother wants him to be a monk, like his uncle, Brother Abstemius, who brings great honour to his family. Manchán isn't so keen on the idea. He'd rather spend his days fishing, making up songs and exploring the forests and the bog with his pet pig, Muck. And for all the Christianity around, there is still a lot of magic, fairy music in the air, berries to be picked, salmon in the rivers... Being a monk would mean penance and prayers and turnips (yuck!) and chanting. With all the wild, magical adventures to be had, Machán would much rather be mucking about! But of course, his mother has other ideas. Lenny arrives at Grandads' house on Saturday morning, but he can't get in. There's Grandad snoozing away in his favourite chair! Lenny climbs in through the dog-flap and discovers that Grandads' alarm clock his vanished...again! Lots of things are disappearing from Grandads', but he's old (and a bit mad, if we're honest.) But when they settle down; Grandad for another nap and Lenny to read a book, Lenny thinks he may have figured out why. It's the Kleptoes! Climbing out from under the couch cushions, they're here for another raid. Grandad and Lenny catch them in the act and chase them into their lair...but what dangers await them down the back of the sofa? First published in 2005, this has now been re-issued with a new cover, but the same great story. Fast-paced, adventurous and really funny (though, to be fair, the Kleptoes are really creepy), this is exactly the kind of tale young children who are just coming to grips with reading alone are looking for. The story is exciting, and features a wonderful and warm dynamic between Lenny and his Grandad. 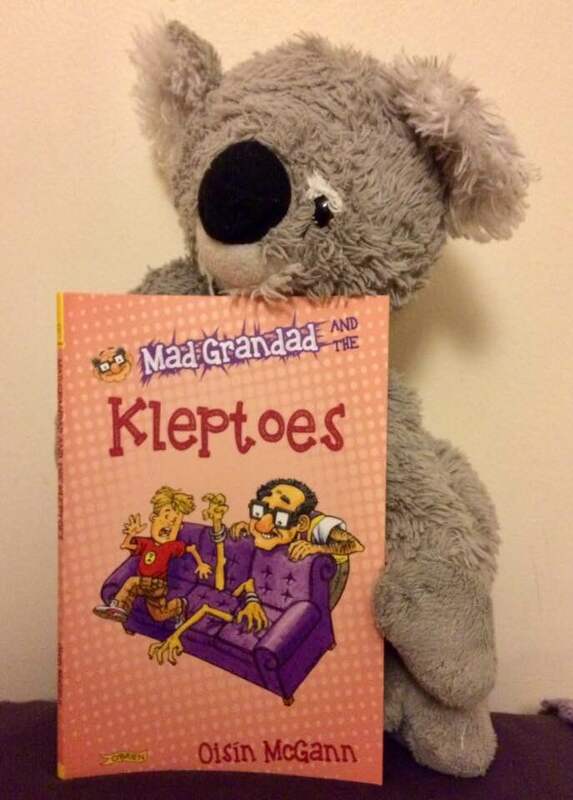 A very imaginative portrayal of the 'Kleptoes' may give a few chills, but it also helps active understanding of problem solving and builds a strong storyline that the reader can really sink their teeth into.Gripping, humourous and well-written, I love the Mad Grandad stories. Read them all! Cass has a new mortal enemy. Ms. Lee is new to Berbel Street and she has some big ideas. She has formed a Residents' Association and now, they are trying to outlaw fun! The Bubble Street Gang are on the case, determined to stop this catastrophe. Just as they start, they discover a new mystery. At the local carboot sale, Cass discovers an old diary full of wicked deeds. Who is the mystery writer from the past? Which one of their neighbours is hiding a dark secret? With the Gang on the case, it won't be too long before they find the Wicked Writer, but Cass may have a real shock in store when they uncover the identity of this doer of dastardly deeds. Filled with fun, laughs and a great mystery (or two) to solve, the third in this series is even better than the rest. An engaging story, Diary Detectives is easy to read, but still challenging as it pulls the reader along through these childrens' world at a pitch-perfect, absorbing rate. You feel as if you know these people. Cass and her friends are realistically drawn and the adults in the story are seen through real childrens' eyes. While there are loads of wacky episodes, there is also a strong sense of realistic, logical thought and good detective work as they work their way through another mystery. 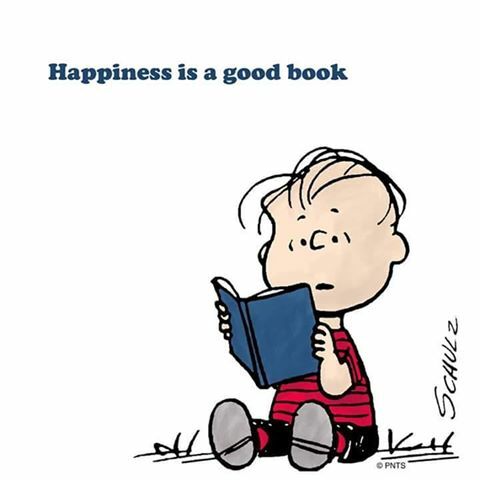 It has that sense of childhood wonder and adventure that makes it a joy to read at any age. 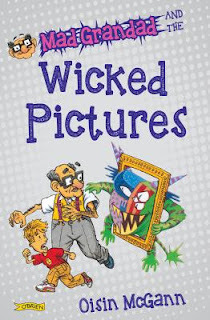 The drawings are whimsical and lively; adding life, imagery and a strong feeling of time and place that allows the characters and the story to jump off the page. So funny, sassy and warm, you'll want to join in! 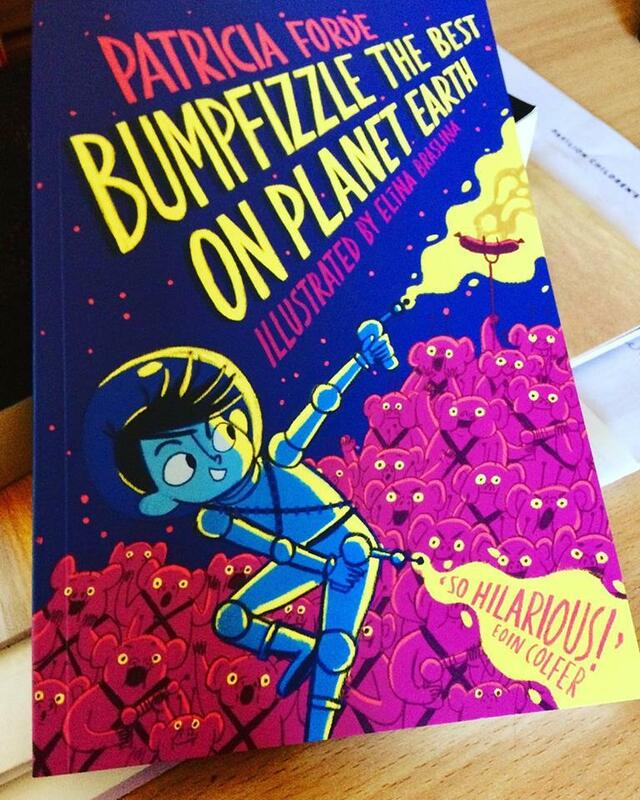 Bumpfizzle has come to Earth from Planet Plonk on a mysterious and dangerous mission. Masquerading as a 10-year-old boy, he has wiped the memories of his 'host' family so he fits in and sends reports back to Great Master Hornswoggle. His observations of the humans leave him very confused; the amount of attention they lavish on The Baby (even though he does nothing of importance), the different foods they eat (including cat food he takes from his 4-legged, furry brother Mr Sooty), this thing called "school" and his discovery that the teacher isn't really edible (and she doesn't like being bitten.) But the Great Master is not happy with Bumpfizzles' progress. Things take a very sinister turn when the Great Master decides to launch an invasion! Planet Plonk needs food and the humans sound good enough to him. What will Bumpfizzle 'diddly-diddly-do'? A delightful well-told story that keenly observes what life is really like in a family. Bumpfizzle is a marvelous character that runs through the range of emotions in a very funny and yet utterly believable way. His family, friendships and point of view ring very true while entertaining the socks of the reader. As a grown-up, your understanding will centre around the impact that a new baby brings to a family. But is Bumpfizzle actually 10-year-old Daniel in a family that doesn't really seem to have time for his shenanigans; or is he really a vicious alien warrior from a conquering race? I leave it for you to decide. The easy and fluidity of the text, quirky, expressive drawings, the made up words (worthy of Roald Dahl) and the delight and poignancy of the tale make this one of the best young novels I have read in a long time. (Look out for the scene with the goat...my absolute favourite!) Fast-paced, intriguing and simply hilarious; prepare yourselves for brilliant adventures! A great read for newly-confident readers or to share as a family. The Secret Seven are back (after over 50 years)! And what a mystery they have to solve this time. Peter has found an ancient skull in his room and calls for an emergency meeting of the Secret Seven. They band together and discover some huge holes have been dug on the grounds of a local hotel, which has some very strange new owners. A hotel with no guests and no staff? A mysterious phone call from an airport with the sound of barking dogs? New American owners with Scottish accents? Following clues and rumours of an old Roman burial site in the town, what the Seven uncover is a lot more than some old bones! Set in the same world and with all the same characters of Enid Blytons' series, Butchart has done a fine job of carrying on the tradition. The story fits nicely into the original set. The tone, emphasis of friendship and childhood antics, the place and the 'feel' of the book are comforting and familiar...and just as enjoyable. Even the characters are easily recognisable; bossy Peter, cunning Janet, Barbara, the actress and Scamp the dog, whose diggings often lead to the biggest discoveries. But Butcharts' writing style lends an updated, contemporary twist and is easy to read. 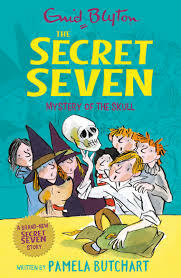 Full of drama, excitement and loads of fun, this is a book to hook a whole new generation of Secret Seven fans, as well as delight the old ones. Who hasn't dreamed of swapping their obnoxious older brother (or sister) for a better one? Ted is a real pain; constantly picking on him, teasing him...threatening him with the Hanging Pants of Doom. Jonny really needs a better, AWESOME version of his older brother who would be his best mate instead of...well...Ted. For Jonny, that dream is about to become a reality!He has found SiblingSwap.com, an internet trading company that is sure to find Jonny the best older brother in the world. Of course, that may take a few swaps to get it right. First there was the merboy. And the hyperactive kid who can't resist betting on everything. And let's not forget the ghost of Henry the Eighth. What could possibly happen next?! Maybe Ted wasn't so bad after all... But can Jonny ever get him back? A young novel about wish-fulfillment, this will keep you in stitches!The voices in the story are genuine and really funny; especially the mothers' reaction to her missing older son, but the author pulls it off with downright silliness that keeps the reader turning those pages. Fast-paced and hilarious adventures drag poor Jonny through drama after drama, but that is what he asked for, right? It also allows him to discover he has much more courage and is more practical than he believed possible.The characters are exaggerated caricatures that bring out Jonnys' frustrations, but allow the inevitable conclusion that, maybe...just maybe he was better off with the brother he started with. 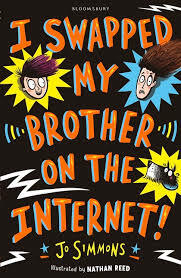 It also brings a really contemporary twist and opens up a discussion about internet use in a light-hearted, nonthreatening way. For readers with a good level of confidence, or a wonderful and completely enjoyable story to share. Stevie has to move from her flat at the top of The Tower right in the middle of the city to a small cottage in the country...and she is not at all happy about it. When Nanny Blue appears, she brings a very special present that just might make things a bit easier. 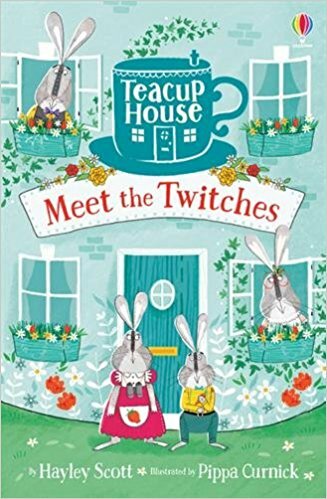 The Teacup House and it's resident, the Twitches; four very tiny toy rabbits! Still unsure and very sad, Stevie unwraps them when they arrive at the cottage, but...oh no!...Daddy Gabriel Twitch has fallenflare for adventure! A lovely chapter book for newly independent readers (or to share), this book ticks all the boxes. With wonderful, warm characters and a strong sense of plot and adventure for young ones. Stevie is a wonderful character; genuinely thinking and acting as any child in her shoes would act. The Twitches themselves shine with individuality and independence. Silver Twitch is a bright, brave sister character and is clearly encouraged to be as clever and bold as she can be (and also, the perfect rabbit complement to Stevie!) Included is gentle reference to one or two contemporary issues, but these are not belaboured. They simply add to the interest of a charming tale. 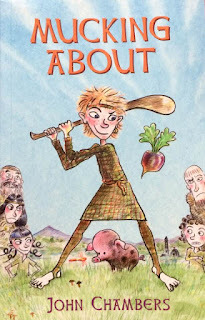 There is a nod to The Borrowers here, and perhaps Beatrix Potter While this, obviously the first in an upcoming series, acts primarily as an introduction, the adventure pulls the reader through and, in the end, leaves you wanting more. The story is greatly enhanced by full colour illustrations throughout and will get the imagination running. Don't be surprised to find you have 'Twitches' of your own before too long! Fun, free and absolutely adorable! I can't wait for more. 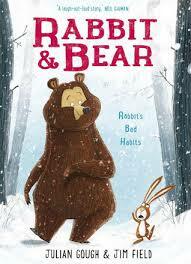 This may be the best Rabbit and Bear book yet! With Jim Fields' gorgeous, expressive illustrations and Julian Goughs' hilarious (in fact, laugh-out-loud) text, a story unfolds that you will want to revisit again and again. Fantastic lessons on friendship and acceptance are slipped in with such finesse and without affecting a great story. 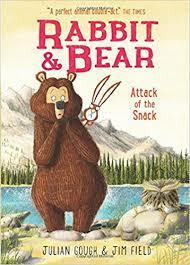 I love Rabbit and Bear! Lenny and Grandad are trying to paint the living room, but Grandad's paint is very old...some of it is from the 1960's! And the paint has gone really strange. Whenever they put paint on the wall, it starts to make weird patterns that look like paintings. So, Grandad has the great idea of just putting frames around them. After returning from getting more frames, Lenny and Grandad are in for a shock...the paintings are alive, evil and very, very hungry! The entire Mad Grandad series (there are 6 of them) make for the perfect first chapter books for emerging readers. Zany, madcap and full of adventure, they have the right amount of drama and heart while being filled with laughs. The relationship between Lenny and his Grandad is wonderful and heart-warming. The adventures they have together are hilarious. This one is my favourite. When the paintings come to life, the action is contained by Grandad and Lenny in a suitably mad solution. The black and white line drawings throughout add interest and really fire the imaginationlook, while keeping McGann's fabulous illustrations intact. Wonderful first readers! When Ben Pole is running away from uber-bully and his arch-enemy Monty Grabbe, he accidentally falls into a secret forest right in the middle of the city. 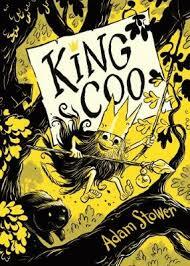 The forest is ruled by King Coo; a rope-swinging, tree-house living bearded girl with a pet wombat called Herb. Ben has finally found a friend! 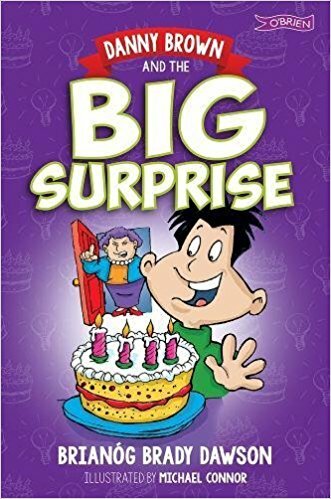 But Monty and his gang follow Ben into the forest one day, and come up with a dastardly plan to kidnap Herb, blame him for the sink holes that have been appearing in the city (kind of true) and destroy the forest along with Bens' friendship. But Coo is very clever and has a great plan. Ben is not going to give up on the best friend he's ever had! Get ready for thrills, drama and loads of laughs in this utterly charming story. It is outrageous, chaotic, fast-paced and filled with fun. All the characters are well-drawn and thoroughly suit the action. Ben is wholly relatable and completely endearing. Coo is mad-cap (think Pippi Longstocking meets Peter Pan) and completely bonkers! Stowers' incredible, zany ink and wash illustrations bring real life to the tale, with plenty of substance and texture. An absolute joy to read, you'll want to read it again and again; and it's the perfect book to make developing readers into confident readers. I love, love, love it! The Bubble Street Gang are back! Cass and her best friends, Nicholas and Lex are solving mysteries, investigating crimes from their secret clubhouse in the hedge at the end of Mr. McCall's field. (But keep the location to yourself...it's a secret.) With school back in session, Cass has discovered a doozy of a mystery. There's an invisible boy in her class! No one can see him, but Cass knows he's there and he's very, very cleverCass is on her own to figure it out. In the meantime, the Bubble Street Gang really need money, so they pool their resources and come up with some absolutely genius ideas to start their very first business. It's Operation Make Loads of Money for Nicholas' Art Class and Probably Become Millionaires! Together, there is nothing the Gang can't do! It is absolutely fantastic to get stuck in to another Bubble Street Gang story. Entertaining and filled with laughs and a great deal of heart, Cass and her friends simply leap off the page in this traditional style adventure for younger readers. It is action-packed and genuine; the kind of adventure every child can see themselves involved in. 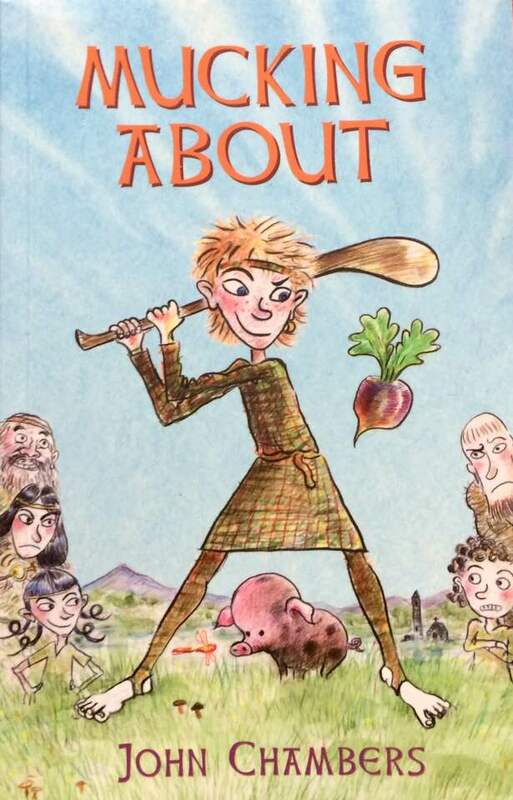 The illustrations scattered throughout the book add interest and life to an already lively text.The second in the series (review for the first on the Irish Books, Authors... page of this blog), I highly recommend it for ages 7-8 to read alone or for sharing with the whole family or classroom. Another big thumbs up from me! Tillys' dad has built a time machine in the shed and there is only one place that Tilly wants to go. More than anything, she wants to go back to her 6th birthday, when she ate too many cupcakes, her mum was still there and it was the best day ever. But, while her Dad is testing it out, something goes wrong and he gets stuck in the past! It's up to Tilly to rescue him. This would be hard enough, but with her teacher worried about her and government agents trying to steal the time machine (there are bad guys everywhere! ), will Tilly be able to save him....and make it back in time for tea? This is brilliant! Funny, poignant and packed full of action! 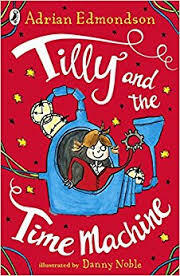 Tilly is a great heroine and you really feel for her and her dilemma. As she travels back in time, she meets all sorts of characters... including Queen Victoria... all set in a hilarious, yet accurate depiction of their location in the past. The relationship between her and her Dad is warm and engaging. It is quite quirky and enjoyable with humour balanced very nicely with a touching back story. Easy to read for 6 -9 year olds and a great little book to share, you'll be taken on a great journey through time and in search of cupcakes. With clever rhyming text and full colour illustration throughout, all of the Squishy McFluff books are utterly charming, filled with character and absolutely delightful. What child hasn't wanted their own pet, and an invisible cat may be the best kind of pet/friend to have. 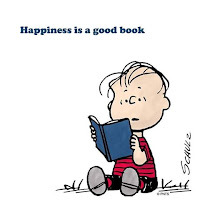 The book(s) play with a childs' imagination as they lead the reader through adventure after adventure. 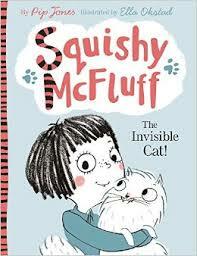 Fantastic for those who are newly confident readers, they are also perfect for reading aloud. 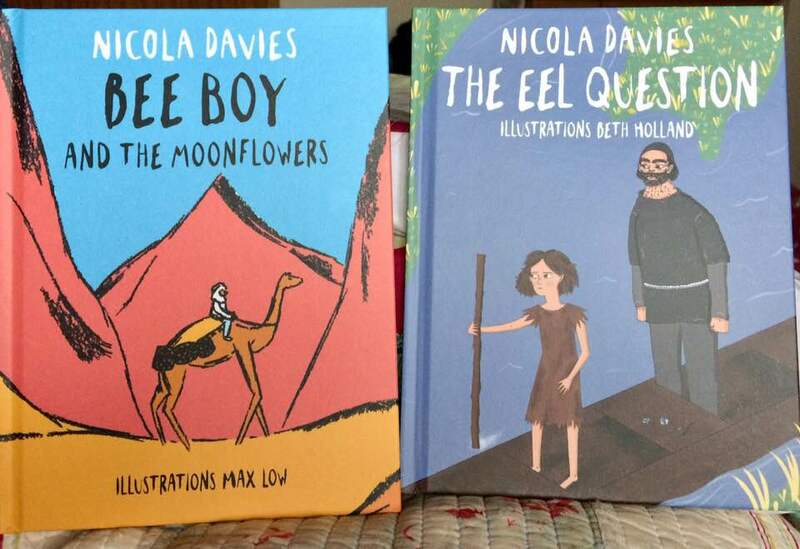 Well written, beautifully illustrated in a contemporary style, everyone will love these books. You have to read all five! 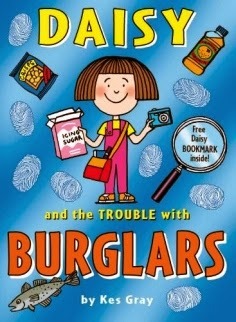 Property Jones got her name because she was left in the lost property cupboard of a bookshop when she was five years old. Since then, she has lived in the bookshop with the owners, a mother and her son. It is very small and struggling to stay open, but Property loves it there...in spite of her terrible secret. Property Jones can't read and she mustn't let anyone know. So, Property can't read the newspaper article article announcing a raffle with the most wonderful prize. A chance to win the Montgomery Book Emporium; the most glorious bookshop in the entire world! 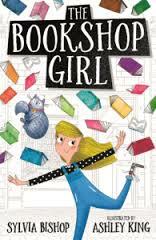 When her family wins, Property finds herself suddenly transported to the Emporium, and wondrous, magical place with floor after floor of of books and one very bad tempered cat. All is not as it seems, however. The Jones family soon finds itself at the centre of a sinister plot and in a lot of danger...and someone seems to know her secret. This is a good, old-fashioned mystery, filled with drama, intrigue and laughs written for a younger, yet confident reader. (Also, it's perfect for sharing.) There are echoes of such classic childrens' fare as Charlie and the Chocolate Factory, with strong characters, an impoverished family, very bad baddies and a rather befuddles old gentleman. Good-pacing drives the tale through some fascinating plot twists and sends the reader on a wonderful adventure that builds to a very satisfying solution. The addition of a central character, Property, who can't read echoes strongly throughout the book, adding a personal dilemma. Her cleverness and tenacity shines over her embarrassment. When the 'big reveal' is made, Property shows great courage and the reaction is pitch perfect and extremely reassuring. All in all, this is a thoroughly enjoyable story that deserves to be read over and over. It was plenty to offer every reader. I just loved it! Bear has woken up early from hibernation. She is really a gentle, artistic soul; loving and kind and always willing to see the good in everyone. Her unlikely friend, Rabbit is the exact opposite; grumpy, abrasive and frankly, a bit rude. Restless and unable to get back to sleep, Bear decides to make a snowman. And so Rabbit decides he must interfere. He's never made a snowman before, but surely he knows how to do it better. Bossy Rabbit starts telling Bear exactly what to do, and criticising Bears' efforts. It isn't long before Wolf shows up on the scene, and he doesn't want to build a snowman at all. Wolf is hungry...and he wants Rabbit Pie for his dinner. Can Rabbit count on Bear to save the day? Very funny and very honest, this is a great read for new readers. Packed with action and lots of word-play, Gough and Field have created a story that begs to be read again and again. The characters are lively and their unlikely relationship is really touching. It is sure to inspire a lot of discussion about patience, friendship and kindness...and manners...and poo; lots of poo. It is well-written and wonderfully illustrated. Never patronising or simplistic, the story is also filled with scientific information that will spark real interest in both children and their parents. It will make you laugh and want more! Fortunately...the next one is on its' way....you'll have to wait until 2017, though. Pug is heading out to sea. He's had his jam tarts for breakfast. He's wearing his smart sailor suit. What could possibly go wrong? Well...just one thing. Captain Pug is afraid of water. And he is still rather hungry. And that picnic basket looks so inviting. So he pops on the bus to find out what's inside the basket; more yummy jam tarts, perhaps? But suddenly, Pug discovers he has lost his beloved Lady Miranda...and where is he going? The bus pulls up next to a river, and in his dapper sailor suit, he gets mistaken for a rowing mascot. So, after a trial run on the rowing team,will Pug be ready for the high seas? Each chapter is full of action, laughs, big personality and cakes. The illustrations add great interest and charm to an already warm hearted, easy-to-read text. With a nice pace, there are many adventures and a mild bit of trouble and suspense. 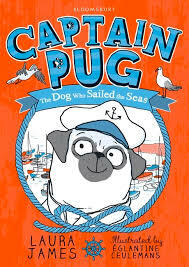 Captain Pug will delight children of all ages. After reading this, you'll be anxiously awaiting his next adventure; Cowboy Pug. Leo and Ella find themselves on another mission to save the Kingdom of Izzambard when they ('accidently') discover another magical object in the old station house behind their home. So, it's back on to the 11:61 Izzambard Express for another amazing journey. The evil clockmaker, Griselda has sent her mechanically-eyed moles to shut down the Crystal Caves and stop the production of fairy dust. The Incredible Crystallator (a beautiful, shiny hammer-thingy) must be returned to the hobgoblins of the Crystal Mines immediately! But first, they have to make it across the Goblinora Bridge, past the Angerwick Giant, retrieve Ellas' hat from the ill-mannered fairies, defeat Cuthbert the Cave Worm...it never ends! All aboard for another incredible adventure! I am really loving The Secret Railway! More adventure, fantasy, exciting twists and turns and wonderful characters are packed into these pages than you could have imagined possible. Leo and Ella are lively and likeable as a brother-sister team, and the inhabitants of Izzambard jump off the page. Everything I said about the previous book (below) has just doubled. And again...I can't wait for the next installment! Don't Panic! Everything is under control. There's no danger whatsoever, because Jack Beechwhistle is here to protect us all from whatever alien monsters are trying to take over. From zombie sweet shop owners to exploding conkers, Jack has it covered, with a little help from his faithful sidekicks, Colin and Harry....as long as it's not past bedtime.Their missions are dangerous, daring and, yes, possibly deadly. And now, Jack has a new enemy threat... 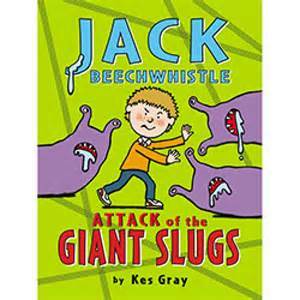 Giant Slugs are threatening to take over (EEWW!). Can Jack and the boys stop them before they reach the school? And it's right in the middle of maths class!!!! Oh, the horror! 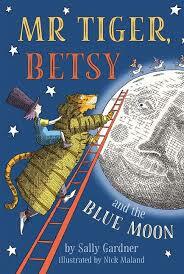 A story that will remind you of the books you read as a child, (ie: Enid Blyton Faraway Tree, etc. 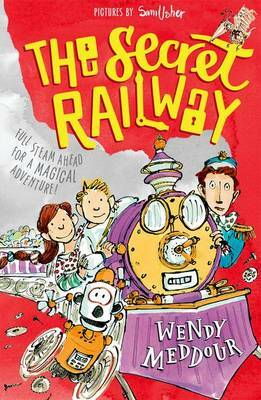 ), The Secret Railway is packed with humour, mischief and unusual characters with a great and traditional story line that is bound to delight everyone. The black and white illustrations add a quirky charm that illuminate this fast-paced, off-the-wall adventure. Each chapter is laid out as a 'Platform' that draws the reader further into the plot, which has many twists and just the right amount of tension and drama. A doorway into a secret world, clockwork friends and foe, magical objects, an incredible journey and a race to get home; this book has it all. Just perfect for children to read by themselves or as a shared story for everyone! I just love it! Can't wait for the next installment. One night, a terrible storm rages outside, but Polly is cosy and safe upstairs in her bed. She hears a sudden and enormous CRASH downstairs! She rushes downstairs and finds a poor little puffin with a broken wing. As Polly nurses the puffin she has named Neil back to full health, they become the best of friends. Slowly, Neil's wing heals and the time comes when Polly must say goodbye to the little guy; but will she ever see him again? I just love this charming story for young readers, and you will, too. Filled with joy, warmth and wonderful humour, it not only shows the developing friendshipPolly and the Puffin story: The Stormy Day!) Perfect! Daisy’s back and she’s in more trouble than ever! When a number of burglaries happen right in Daisy’s very own town, there is a lot of worry and excitement. Two houses on a nearby street have been robbed, not to mention the fish and chip shop. The burglars even got away with a lot of cod and haddock! What is Daisy going to do? She turns detective, of course. Daisy enlists the help of good friends Dylan and Gabby to form the DD&G Detective Agency. Armed with her detective kit (including a notebook, magnifying glass and Mum’s new box of powdered sugar for dusting for finger prints), Daisy sets off to catch the burglars. The trouble with burglars is… it’s really hard to catch them if you can’t leave your own street. Kids love the Daisy books. Daisy is naughty and clever and pulls the young reader along through the story. The book is written with a keen awareness of a young child’s view of the world. The typeface is bold and easy to read, making it ideal for the newly competent reader. 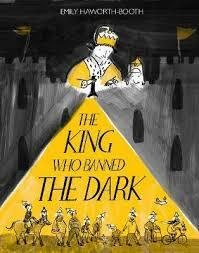 Peppered throughout with clear and expressive black and white drawings, it also makes a wonderful first novel to read aloud. As a character, Daisy is an absolute delight; funny, cheeky and innocent in understanding her own mischief. Her mum’s exasperation is something all parents have experienced from time to time, and provides a nice glimpse into mother and child relationships. Funny, fast-paced and well-written, Daisy will inspire great joy in reading.